Kueh dadar is one of my favorite kueh, which we enjoyed tremendously as children as I’d mentioned in this post two years back. 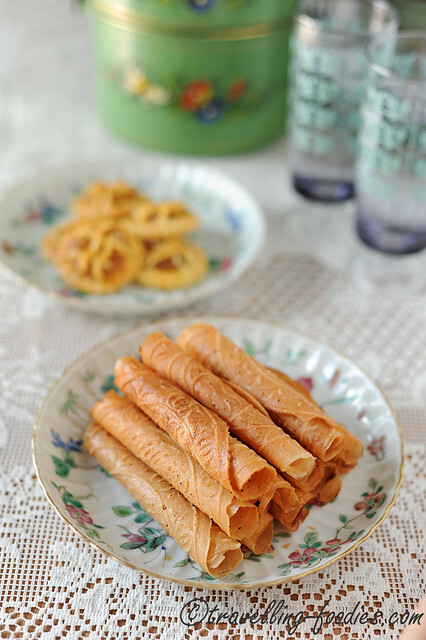 Known also as kuih ketayap, kuih gulung or kuih lenggang to some Malay communities, it is also a kueh which I revisit very often in my kitchen, sometimes eaten just on its own, or when I’m up for something more elaborated or wish for greater contrariety, a savory kuah santan would be quickly prepared using the leftover coconut milk from the batter to “chelop” the kueh dadar in. 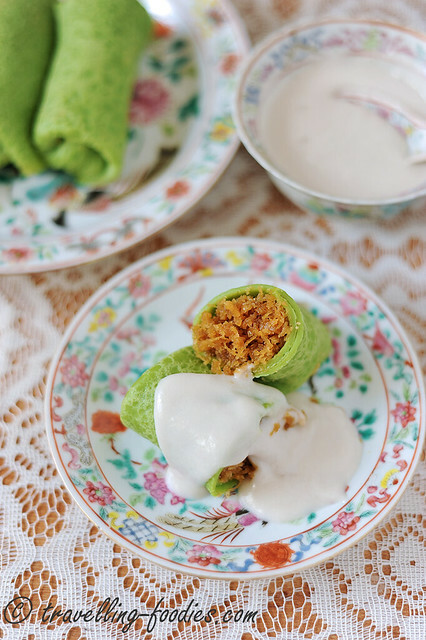 If the American kids grew up dunking Oreos in a glass of milk, kueh dadar chelop kuah santan must definitely be part of the wonderful childhood memories Peranakans have collectively. 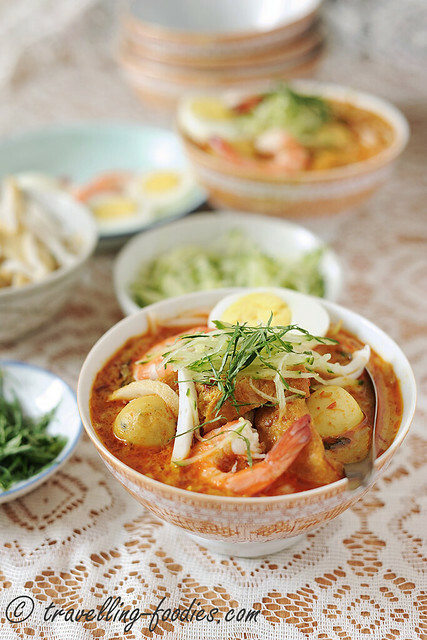 Gading Galoh may not be familiar to many but mention Kueh Sarlat or Seri Muka and most folks would have heard or eaten it before. 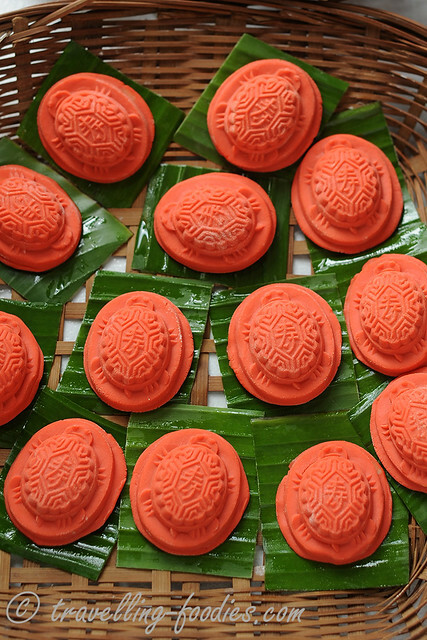 Gading Galoh is the name adopted by the Malaccan Peranakans for this popular kueh. 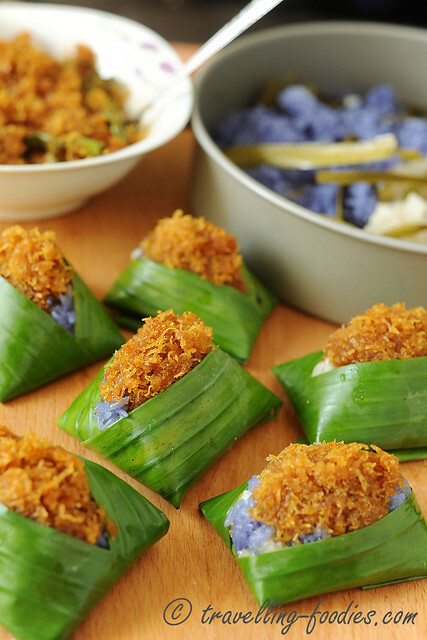 It is also known as Pulot Serikaya to some and in this case, the familiar pandan-based custard topping is replaced by one in an exuberant sunset yellow. 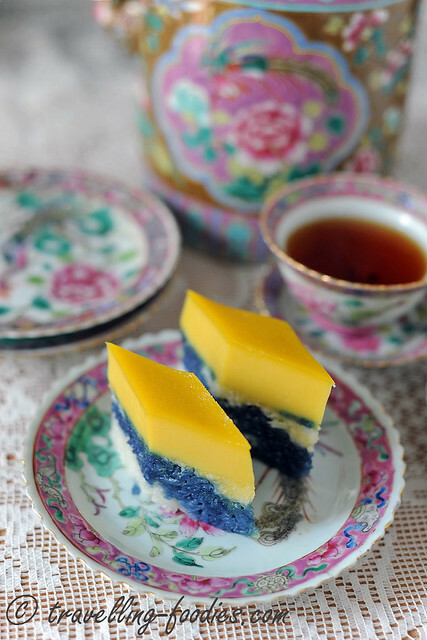 I’d made Kueh Sarlat numerous times and blogged about it earlier. Interestingly, I’d not made the non-pandan version before. 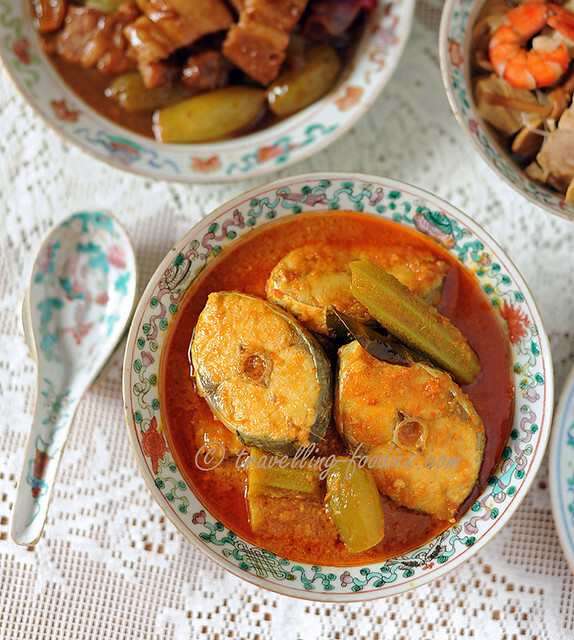 So now is a good time to experiment making pulot serikaya, creating it by adapting the tried and tested recipe for kueh sarlat, otherwise known as gading galoh. Now you all know.